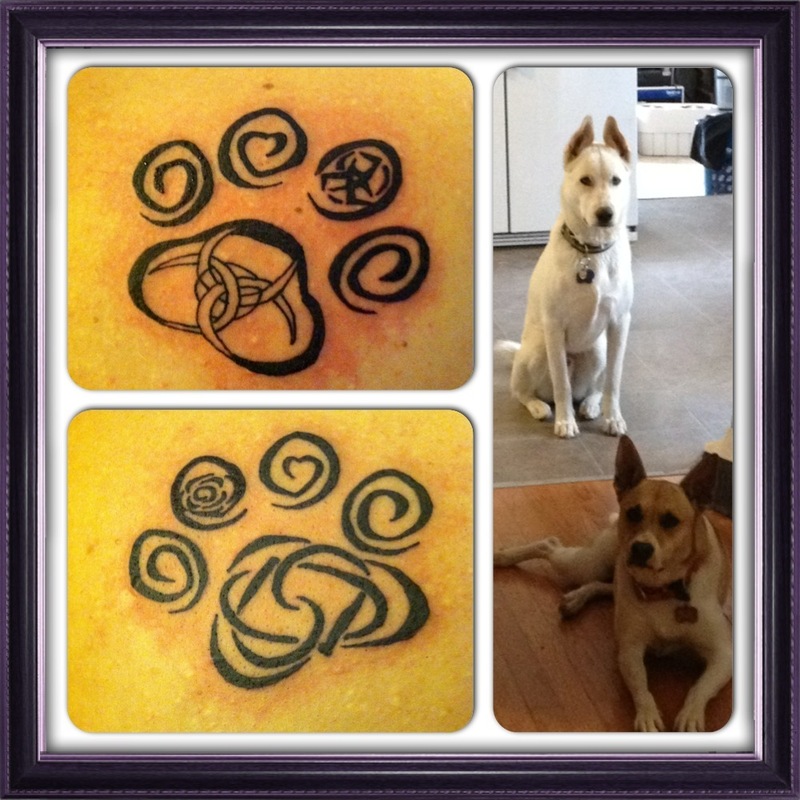 The collated image is actually © AnnieSparky, this is her tattoos for her two adorable puppies there, Kuma (top) and Penny (bottom) with the corresponding tattoos for both of them. I designed the artwork but she got them inked on either shoulder for her babies. Been meaning to put this up for a few weeks. I love how they turned out in the end. So awesome. frostbight and his wife Annie have 2 beautiful dogs they rescued and provide a loving and stable (if somewhat crazy) home for. But recently Penny, their adorable little girl, tore the ligaments in her knee and it requires surgery. Annie is primarily a student so the two of them won't have the $2000+ to cover the cost of the surgery so they NEED donations to get Penny back on all four legs. If you have some spare cash you can donate to frostbight's paypal to help them cover the cost, and if you donate $20 or more I'll make you a lovely "eye-con" like this: https://www.furaffinity.net/view/8698604/ or this: https://www.furaffinity.net/view/8698611/ OR actually buy some full priced art from me and I'll donate every cent I get til they have more than enough to cover it.